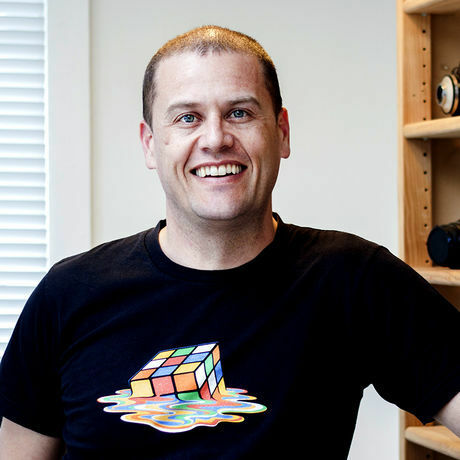 Meet Chris Young, Head of Design at Code M and 14x CreativeMornings/Auckland attendee! I’ve been to any number of meaningful CreativeMornings over the years, but the standout for me was Imogen Parry (@imogen.parry) talking about Failure. It was one of the the most heartfelt, genuine, beautiful talks that I’ve heard. Imogen showed phenomenal strength through humble vulnerability as she spoke of her journey, how she and a group of friends established the Fail Club, and also about how much more she still has to learn. It was genuinely inspiring. As for me, I’m the Head of Design for an in-house creative studio called Code M, which is part of a technology investment business called Millennium Corp. It’s a highly entrepreneurial business that is on a big growth curve, so a large part of my role is to grow Code M and to ensure that the work we’re doing keeps pace with the super-fast paced tech industry - particularly in the mobile tech space. I lead a young team and I get the privilege of mentoring them and helping them grow in their work and as people. I love my work. I also juggle a few projects for churches and not-for-profits after hours through Creo, my own design business. What changes are you noticing in your community or industry that deserves more attention? I think that the design industry can be a bit guilty of paying lip service to user experience, whilst simply doing things much as they’ve always been done - it’s something that I’m working to change within Code M for sure. It’s also very easy for creatives to become distracted by shiny new tools whilst forgetting to put people at the centre of everything we design. I started my career as a Mac Operator and one of the strongest influences in those early years was my Studio Manager at DDB Cape Town, Cassiem Issacs; he taught me so much about crafting great work, and really importantly about doing work that could easily be picked up by someone else. I’m inspired to be that sort of mentor for the next generation of creatives. If I only had one book? That’s easy: the Bible. It’s got everything you need - poetry, history, life lessons and a narrative of the relationship between humanity and the Divine that shapes who I am and who I want to be. Thanks for the feature team! I've actually moved on from Code M and am now working for an amazing startup - CHAPTER2 Bikes.